From Sedonalace.com "The Vortex Collection exclusively designed by Renelyn Monteloyola of Makeup by Ren Ren for Sedona Lace. This pro line of brushes takes makeup application and technique to the next level. 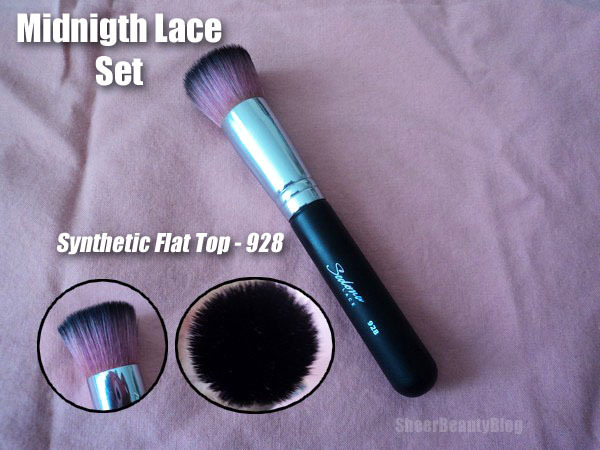 All of the brushes are multi-purpose and versatile and includes a brush belt to help store the brushes and keep them within easy reach." In the picture below is more information on the collection. The Jumbo Fan brush I have to say is the reason why I wanted this collection in the first place. This brush is great for highlighting. It's nice and big as well as super soft. I had no problems with shedding with this brush as well this brush came with a cover to help maintain it's shape which I place back on the brush after each use. The Tulip Contour brush I have only used for applying blush, you can use this to contour but I think it would be to big for that, but I might still give it a try. When I washed this brush I noticed that there was a chemical smell coming from the brush which I'm guessing is the smell of the dye. 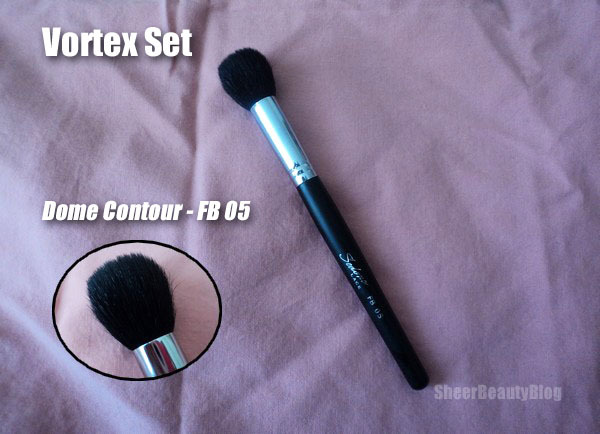 This brush did shed a few times when apply blush to my face as well it could be a bit softer. 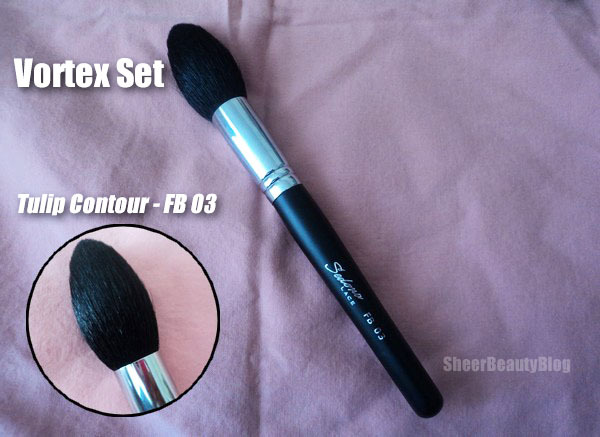 This is the brush that I currently use to contour, I think it's a great brush and it's nice and soft. However I did experience a lot of shedding with this one this brush as well when I washed it there was a chemical smell to it from the dye. I noticed this smell with all of the black brushes and no smell with the others. Once the brush did dry however the chemical smell went away with all of the black haired brushes. I don't wear foundation a lot but for two week I did so that I can really test out this brush as well as the midnight lace brush that I got. This brush is softer then the midnight lace brush it's not as dense as the midnight lace brush. There was no shedding with this brush what so ever. It applied my foundation well and there were not any lines that brush leave behind this brush blended out my foundation well. 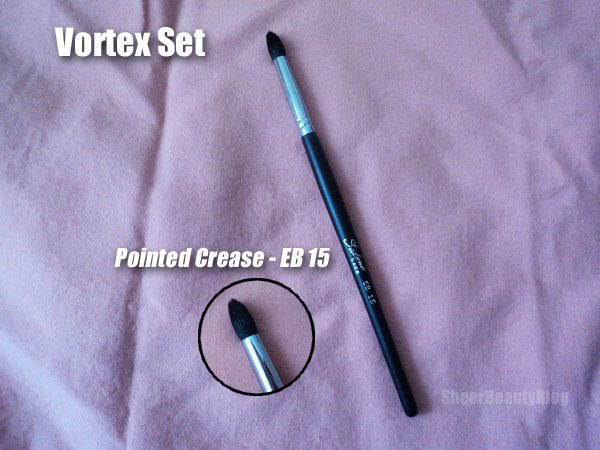 I like this brush because you can use this brush to pack on eye shadow or to blend, it's soft and blends well. 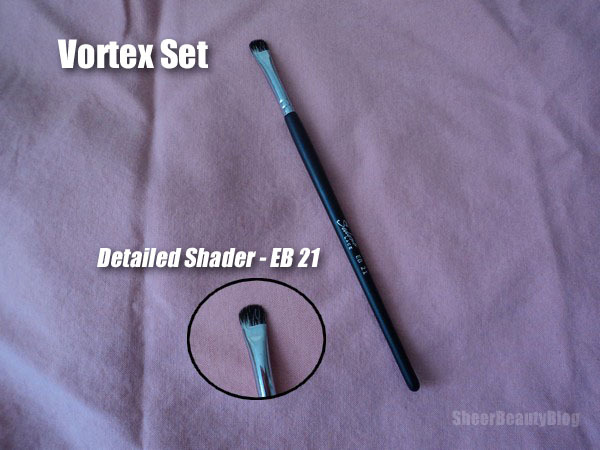 This brush I have been using to apply shadows, I like it better to apply pigments but I think this brush is a bit to big for a persons eye lid but I do still like it and the size is not a big deal. 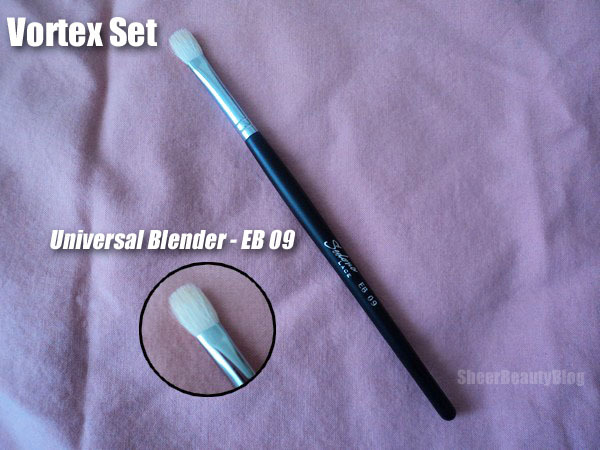 This blending brush is actually a big brush I use it to apply neutral colours to my crease and I blend it up to my brow, you can also use this blending brush to apply concealer I have a similar brush like this from Real Techniques that I use to apply concealer. This brush as the other black brushes had a chemical smell to it when I washed it. This is a nice brush and fits nicely into my crease however I wish it was softer to me this brush isn't really soft at all. I like the idea of this brush as it's a dual brush. The spoolie is great and is bent at a bit of an angle. However the actual brush it's self is too stiff for my liking and too thick. 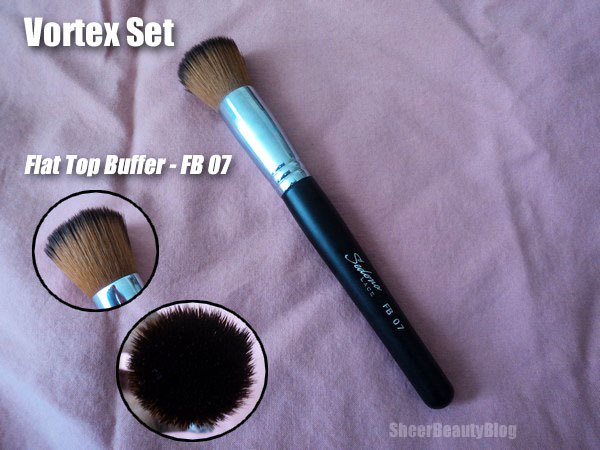 I feel I would like the brush better if it was 10% softer and if it was thin then I believe that this would be a great brush. I sometimes have dry skin in my t zone so for more I don't want something stiff around that area to make my skin flake. This brush is ok with liquid brow products but I think it's better with powders. I like this brush very much I don't have a lot to say it's your standard bent liner brush and I have had to problems with it what so ever. This brush is a nice size brush however I really didn't use it I tried it for placing a shadow around my tear duct and it was to big for that but I feel it would be nice for packing on shadow. This brush I feel needs to be soft this is not a soft brush and I guess that is why I never really used it. 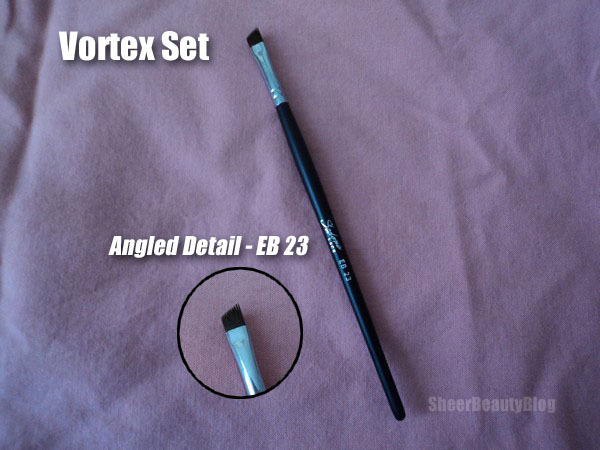 This brush can be used to apply gel liner as well as brow products and can help to create a cut crease look. 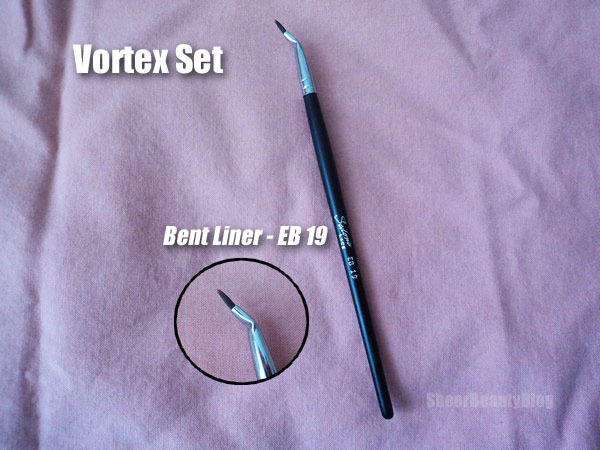 I don't like this to apply gel liner I personally like bent liner brushes better for that but I do like the to apply brow products and that is what I current use this brush for. Since having this brush I haven't switched back to the brush that I used before this one for my brows. This brush is soft and thin which is what I like in a brow brush. Last brush from this collection is the lip brush, this is the prefect brush to take with you on the go to reapply lip stick I like that it comes with a cap so you can throw this in your bag and it wont get dirty. 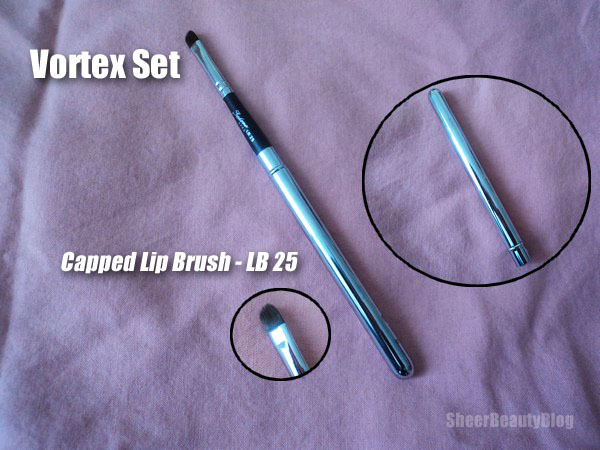 This brush is nice and soft and I like how you can place the cap onto the end of the brush to make it longer with this feature it also less likely that when you go out you wont loose the cap since it can be place at the end of the brush. 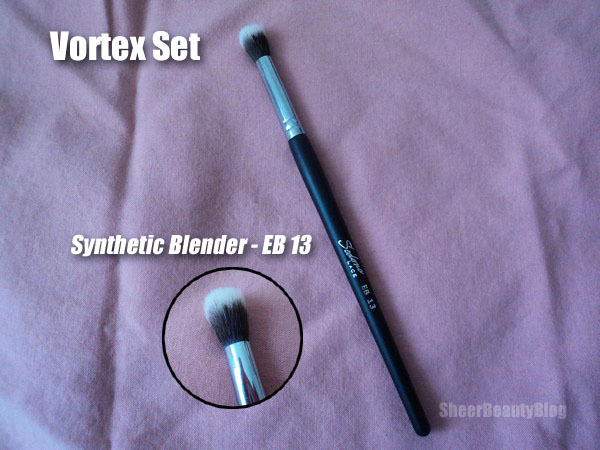 From Sedonalace.com "When it comes to foundation the Synthetic Flat Top Powder Brush is your best friend. The dense, flat surface perfectly applies foundation - whether it be cream, liquid or powder. 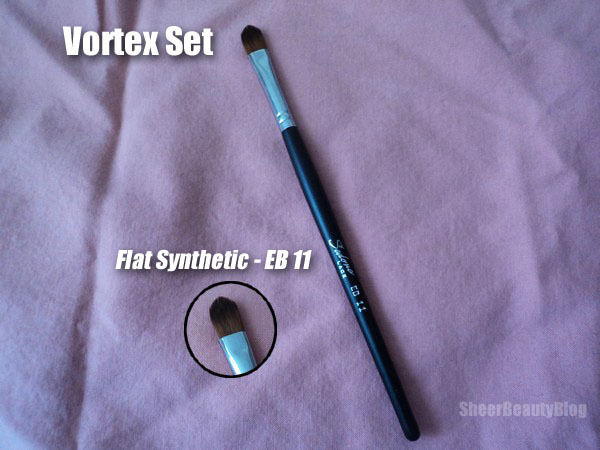 A flat top brush is your key to an airbrushed foundation application." This is a dense brush but it's also soft. I like this brush I don't use it a lot since I don't wear foundation daily. 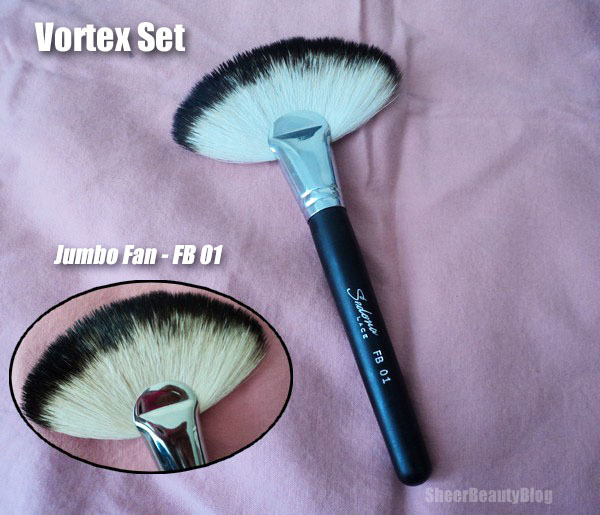 This brush compared to the one from the Vortex Collection foundation brush is not light weight when you hold both of the brush you can feel the different in that and well the Vortex foundation brush is less dense then this brush. 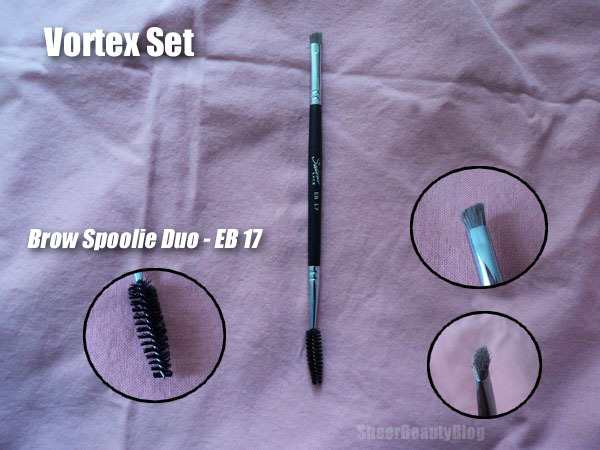 Both brushes are great is just really depends on your preference. 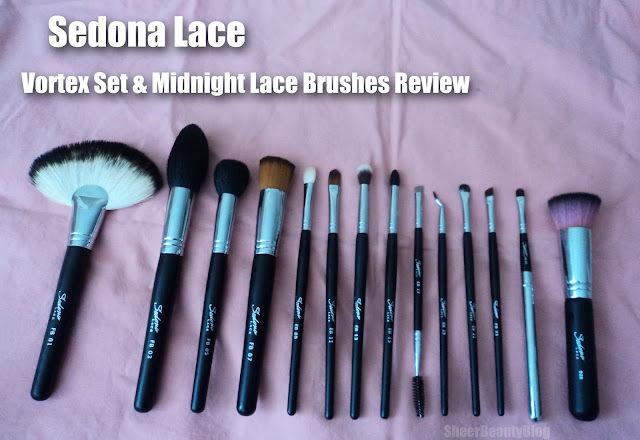 Have you tried any brushes from Sedona Lace? you've done a great review of the sedona lace set :) i've never tried their products, but they look nice.